Eurasia is combined and largest landmass on earth. This landmass consists of Europe and Asia. Eurasia region comprises parts of Eastern Europe, Caucasus, Central Asia, some countries of former Soviet Union and areas influenced by Russia. The area contains population over 5 billion people which is equal to approximately 70% of the world’s total population. Though there are several countries in the Eurasia region, some of the major countries include Armenia, Azerbaijan, Ukraine, Georgia, Belarus, Moldova, Serbia, Bulgaria, Croatia, Bosnia and Herzegovina, Kazakhstan, Kyrgyzstan, Tajikistan, Mongolia and Uzbekistan. There are so many beautiful countries in Eurasia. All those countries have some really wonderful places and attractions for visitors. You will get lot of natural beauty and historical places in these countries. Adventure lovers have plenty of actions to do. 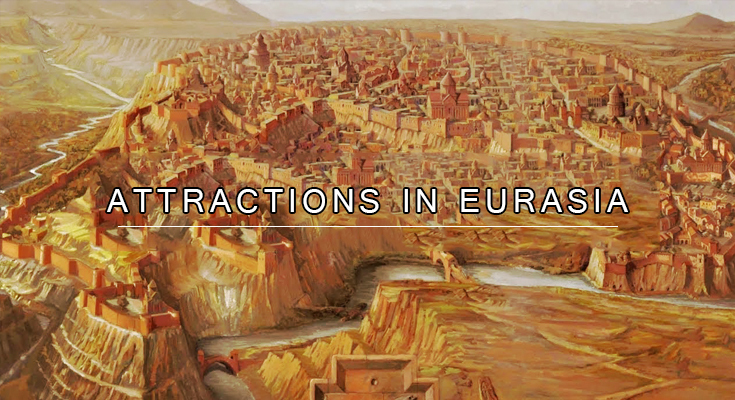 Let us see 10 Best Places to Visit in Eurasia. Ukraine is in Eastern Europe. Ukraine is also second largest country in terms of area in Europe. Ukraine shares borders with Russia and many other European countries. Country has a very long history. And today’s Ukraine is thriving especially in tourism circuit. It has political and volatile relations with Russia and that restricts people to visit Crimea, Luhansk, and Donetsk which is occupied by Russia. However in other beautiful parts of the country visitors come to explore some really wonderful places in Ukraine. The shortest route to reach Ukraine is by air. And when flying to Ukraine from India the cheapest route is to land at the Boryspil International Airport or Zhuliany International Airport which are close to Kyiv. Other big cities In Ukraine with international airports and direct international are Lviv, Odesa, Kharkiv, Dnipro, Zaporizhia and others. For short trip 4-5 days are fine and if you have more time in hand then you can opt for 11-12 days trip to explore Ukraine. Best time to visit Ukraine is from May-June or September. During this period on either side of summers, weather is good and temperature is comfortable. You can enjoy sightseeing during these months. Kyiv, the capital city of Ukraine is the first place to go to when you are on Ukraine Tour Package. Kyiv is quite a scenic city. 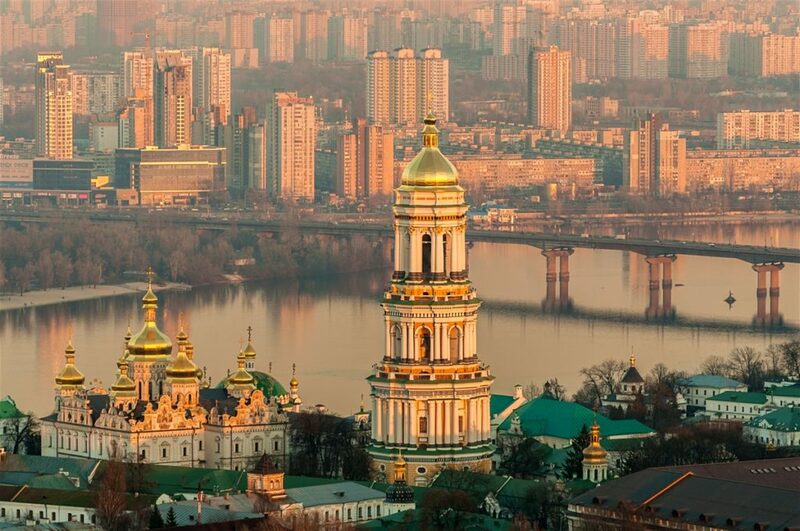 The bustling city Kyiv also preserves its arts and culture which are like world treasures. You can explore some amazing attractions in Kyiv which include Saint Sophia’s cathedral, Mystetskyi Arsenal art quarter, Saint Andrew’s Church, Mikhail Bulgakov Museum, National Art Museum of Ukraine, Kiev Pechersk Lavra Monastery, Mariyinsky Palace, Botanical Garden and The Greenhouse, Saint Michael’s Golden-Domed Monastery, National Opera of Ukraine, Museum of the History of Ukraine in the Second World War, Saint Volodymyr’s Cathedral, Feofaniya Park and others. Another city you must explore in Ukraine is Lviv. The city is known as very poetic city from its outset. Lviv has been the “Western Ukraine capital of culture” for three centuries. You will find many cathedrals here. To name a few are Latin Cathedral, St. George’s cathedral, Armenian Cathedral and more worth visiting. There are museums as well and the most famous one is the Lviv Historical Museum. In Lviv you can also visit Bania, a Russian style sauna for men and women. And in the heart of Lviv is historical S. Krushelnytska Opera house which offers regular performances of Opera and ballets. Apart from Kyiv and Lviv, you can also visit Kharkiv Odessa, Chernihiv, Chernivtsi, Donetsk and Sevastopol in Ukraine. Explore More “Ukraine Tourist Attractions”! Azerbaijan is located in the South Caucasus region in Eurasia at the crossroad of Eastern Europe and Western Asia. Azerbaijan is a great land still untouched from millions of tourists around the world. However the number of visitors is growing every year. Azerbaijan has historical, cultural and natural heritage which attracts visitors from every part of the world. Azerbaijan has untouched nature, mineral springs, unique ancient architecture, culture, cuisine, and more. These all contribute heavily in growing popularity of Azerbaijan for business, sport, medical, cognitive, hunting, exotic, beach and other kinds of tourism. Azerbaijan is among top ten countries where highest growth in visitor happened during 2010–2016. In year 2017 alone the number of tourists coming to Azerbaijan soared by 20%. This means that you can definitely plan for your Azerbaijan Tour Package. The easiest way to reach Azerbaijan is by flight. The main international airport is Heydar Aliyev International Airport in Baku, with additional international airports found in Nakhchivan City, Ganja & Lankaran. You can fly to capital city Baku of Azerbaijan from Delhi, India by Air Astana, Emirates, Qatar Airways, Aeroflot and Uzbekistan Airways. All these flights usually have 1 stop only. Direct train from Russia and Georgia can also be taken. You can visit Azerbaijan for a very short duration of 3-4 days and if you have little more time then you can go for 8-9 days. Azerbaijan has nine out of eleven climate zones which makes one experience extremely low and extremely high temperatures during a year. So, ideal or the best time to visit Azerbaijan is from April to June and then from September to October. During this period temperatures are fine here not going above 40 degree in summers and will you will not find sub zero winters. Capital city Baku is a great attraction in Azerbaijan. 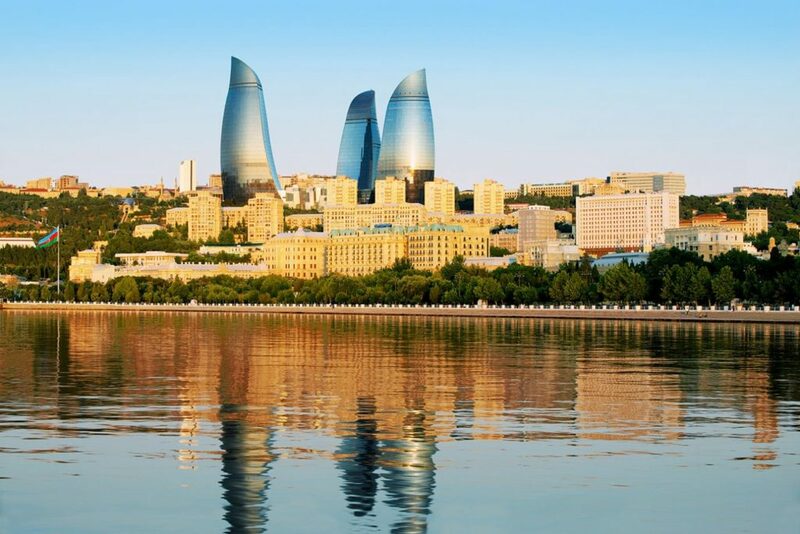 Baku is now one of the most famous tourist destinations in the Caucasus region. Baku provokes tourists for its own historical and newly built beautiful sights. Some of the must see tourist attractions in Baku and other parts of Azerbaijan are: Old Town (Icheri Sheher), Flame Tower, The Palace of Shrivanshahs, Miaden Tower, Atashgah Fire Temple, National Museum of History of Azerbaijan, Yanar Dagh, Qala, Baku Boulevard, AF MALL, and Park Bulvar Shopping Mall. You can go for Boat tour of the city and also enjoy national opera and Ballet. You can visit Baku entertainment center. Other than Baku you can also visit Sheki. Explore More “Azerbaijan Tourist Attractions“! Georgia is located in Eurasia. Each corner of Georgia will amaze you throughout your journey. Georgia can prove to be once in a lifetime opportunity for a traveler. Georgia sits at the crossroads of Western Asia and Eastern Europe, so it is bounded to the west by the Black Sea, to the north by Russia, to the south by Turkey and Armenia, and to the southeast by Azerbaijan. Tbilisi is the capital and largest city in Georgia. Easiest way to reach Georgia is through airways. The international airport is located in Tbilisi. From many parts of the world including India one can fly to Tbilisi. You can also take trains from two places to reach Tbilisi which includes Yerevan in Armenia and Baku in Azerbaijan. 3-5 days are good for a Georgia Trip. You can buy the Best Georgia Tour Package to enjoy the best travel experience to Georgia. The best time to go to Georgia is before and after the summer heat and winter freeze. This is usually in May, June and September. During the summers the lowlands around Tbilisi are particularly hot while the mountains are cooler and drier. Tbilisi is the capital city of Georgia. You should visit Tbilisi first with the best Tbilisi Tour Package. Tbilisi is naturally gifted place. And that is why you can enjoy adventures like hiking and trekking, Mountaineering, Biking, Hunting, Paragliding and Horse riding here. 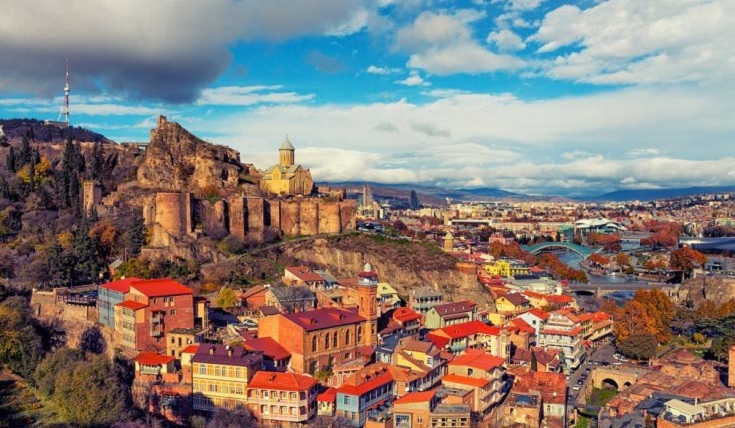 Other than this you must see old town of Tbilisi. Narikala Fortress, Dry Bridge Bazaar, Peace Bridge, Rike Park, Tbilisi State Opera, Georgian National Museum, Movement theater, Sulfur Baths, Aerial Cab Car and Turtle Lake are some major attractions of Tbilisi. More cities of Georgia other than Tbilisi that you should travel to when you are in Georgia are Mtskheta, Kutaisi, Borjomi, Mestia and few more. Explore More “Georgia Tourist Attractions“! Armenia is a country in the southern part of South Caucasus region. Armenia is land of mountains. Armenia is a small country in terms of population but rich in its beauty for tourists. Armenia is full of marvelous sights and attracts those who love natural heritage. Armenia is a country full of natural beauty packed in small area. Armenia has mountains, volcanic uplands, rivers and forests. The highest point in Armenia is Mount Aragats which currently falls in the territory of Turkey. When you are here with Armenia Tour Package you cannot miss the historical and cultural complexes either. Armenia has many airports. And Yerevan Airport is the main airport where you can land and then reach other parts of Armenia. You can also reach Yerevan by train from Tbilisi and Batumi. You can visit Armenia for minimum 3-4 days and maximum number of days depend upon your choice of how deep you want to explore the country. Best time to visit Armenia is during summers. During summers Armenia has warm weather, long hours of sun shine and low rain fall. Thus you should visit Armenia between June and September. Winters are quite cold here and heavy snowfall also occurs. Yerevan is the capital city of Armenia. There are plenty of tourist sights in the capital and most of the tourist sights are concentrated in the center. You should visit Matenadaran, The History Museum of Armenia, Katoghike Church, Saint Gregory the illuminator cathedral, Cafesjian Center for arts, Yerevan Opera Theater, Erebuni Museum and others. You can also attend music orchestra, Chill out in Yerevan Green Velt, Climb the Cascades and so on with the best Yerevan Travel Package. 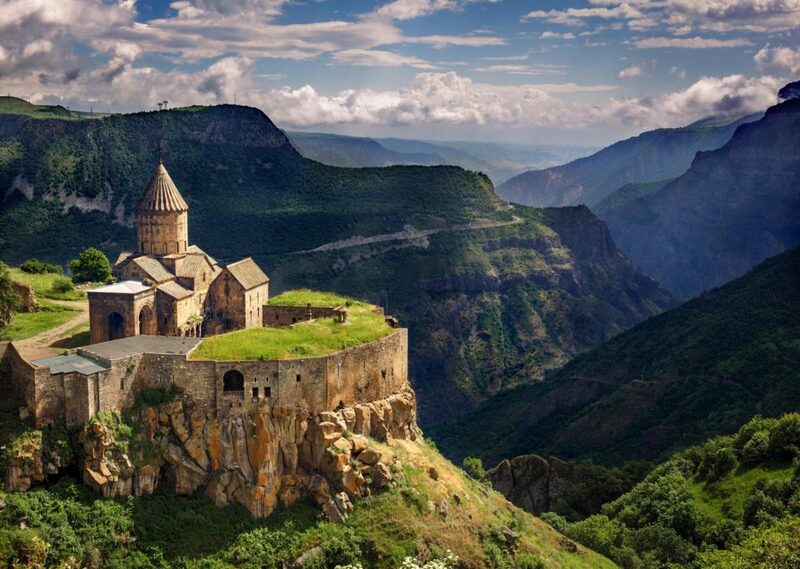 Some very popular other attractions of Armenia are Lake Sevan, Garni Temple, Geghard Monastery, Khor Virap, Tatev Monastery, Dilijan National Park, Mount Aragats, Noravank, Amberd Fortress and Ruins of ancient Dvin. Explore More “Armenia Tourist Attractions“! Belarus is an emerging tourist designation. You can pick the best Belarus Tour Packages to spend a great vacation where you can explore awesome wildlife and architectural wonders of the yesteryear. Belarus offers a lot to to both individuals and families. Belarus many not yet be among the most sought after tourist destinations in Europe but with time it has definitely has gained popularity as a holiday destination for travelers from all over the world. Belarus has borders with prominent European countries like Poland, Latvia, Lithuania, and Russia. Belarus is located far from the rest of the countries which acts in its favor as place where tourists seeking solace from crowds can have a good time. Amazing wildlife and architectural marvels are extra attractions to pull crowds. You can reach Minsk, the capital city of Belarus by air. There is Minsk National Airport which is 40 Km away from Minsk. You can visit Belarus with 4-5 days in hand. During this time period you will be able to see most popular sights in Belarus. Best time to visit Belarus is at the beginning of autumn when temperatures are warm from February to May and also during summer from June to September when it is hot in Belarus. From November to April if you plan to visit Belarus then you should be prepared for some snow. Belarus is a small country but in full expansion, yet large parts are yet fairly untouched by human influence. It has deep forests, wildlife, lakes and rivers are found everywhere in this country. Minsk, the Capital is the most popular attraction of the country. It has several museums and monuments. They are representative of Soviet architecture. Popular sights in Minsk are Independence Avenue which passes through four biggest squares of the city which are Independence Square, October Square, Victory Square, Yakub Kolas Square. 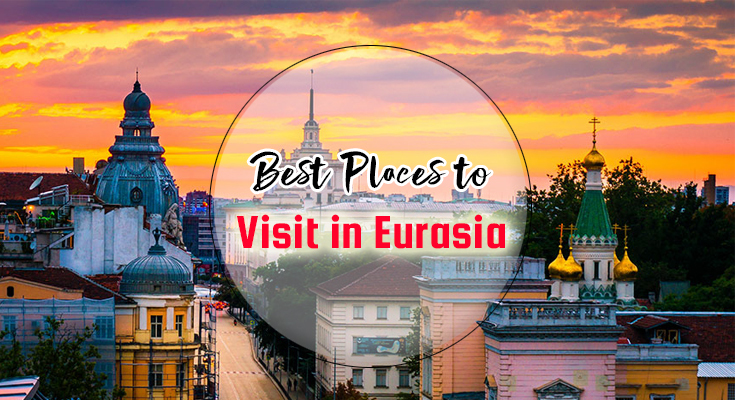 Other sights include the Republican Palace, the Theater, Lake of Tears, Church of Saints Simon and Helena, Victory Square, National Opera and Ballet theater of Belarus, Belarusian State Circus, The Ferris wheel in Gorky park, Trinity hill and others. You can also visit Mir Castle, Khtyan memorial, Stalin Line and more. Other cities worth visiting in Belarus are Brest, Homiel, Hrodna and Niasviz. Explore More “Belarus Tourist Attractions“! Moldova is a landlocked country located in Eastern Europe. Moldova shares borders with Romania and Ukraine. Moldova is a place popular for its natural landscapes, its history and wines. In recent times Moldova has seen a rise in number of tourists visiting the country. Moldova is a small country and most of the Moldova territory lies between two main rivers named Prut and the Dniester. Moldova has 65 cities and many of them are quite beautiful. In Moldova you can see lot of beautiful landscapes and also a great history. Wine tours in Moldova are another attraction for the visitors especially for those who love hard drinks. Moldova has some very popular vineyards where many visitors come and enjoy. It is easy to reach by flight to Chisinau airport. Chisinau airport is located only 12 kilometers from the center of the city. You can also opt for train travel. There are many trains at regular intervals connecting Chisinau with cities like Minsk, Bucharest, Moscow, Sofia, Odessa and St. Petersburg. Ideal duration to visit Moldova is 3-4 days. You can visit Moldova during spring and fall months. These months are quite pleasant and worth visiting. In terms of months May and June is considered the best. Chisinau, the capital city of Moldova is a great attraction. This is the largest city of the country. You can see plenty of attractions in the city of Chisinau. 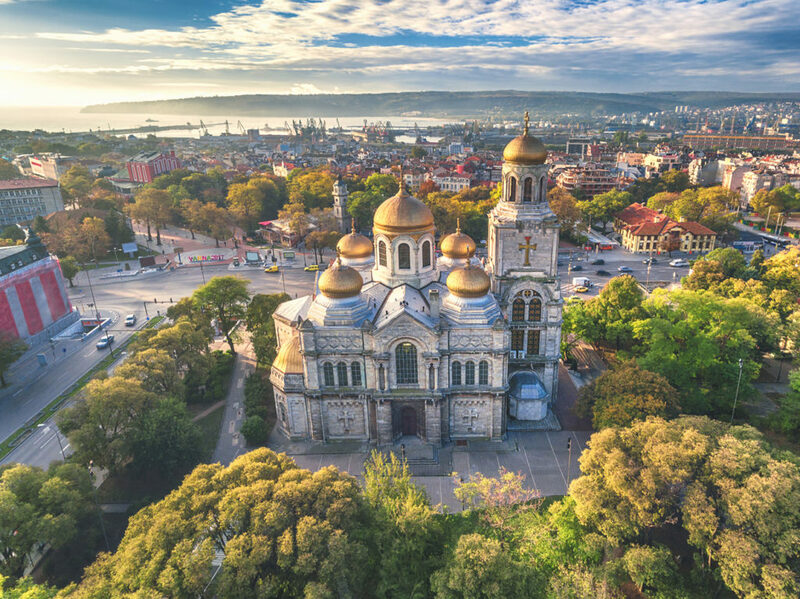 Some of the popular sights are Cathedral Park, Stefan Cel Mare Monument, Rose Valley, Riscani Park, Botanica Park, Pushkin Museum, National Archaeology & History Museum, National Museum of Fine Arts and Chisinau City Museum. Some of the other attractions of Chisinau are many modern-style buildings which were built since 1991. Other than attractions in Chisinau you can also visit other attractions which include Soroca Fortress, Acrh of Triumph, and Memorial Glory of Heroes – Liberators, Moldovan Orthodox Church, Pushkin Museum and more. Explore More “Moldova Tourist Attractions“! Serbia is a country in Balkans in southeast Europe. It is located at the cross road of Central Asia and South East Europe. Serbia shares borders with countries like Hungry, Romania, Bulgaria, Macedonia, Croatia, Bosnia, Herzegovina, Montenegro, Albania and Kosovo. Belgrade is the capital city of Serbia and also the main tourist attraction of the country. Serbia has a rich history and culture. The country is one of the oldest in the entire Europe dating back to 7th century. 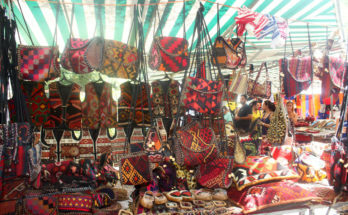 This you can witness in the traditional villages and old crafts. A good Serbia Package will allow you to see the historical richness, and plenty of natural sights to get immersed into. You can also indulge into action like hiking, biking, rafting, parachuting, paragliding and bird watching. You can reach Belgrade, the capital city by air. The main airport of Serbia is Belgrade Nikola Tesla Airport which is only 18 KM away from Belgrade city. You can visit Serbia for a time band of 4-5 days. In Serbia Northern part has long cold winters and a swelting summer while south has a typical Adriatic climate. So, the best time to visit Serbia is during summers in July and August. First attraction of Serbia is Belgrade, the capital city. Belgrade city is not big and you can visit the city on foot for best travel experience. Some of the popular attractions in Belgrade are Belgrade Fortress, Knez Mihailova Street, Republic Square, Skadarlija, The Old Royal Palace, The white palace, the new palace, Gardosh and Belgrade Zoo. There are churches and monasteries worth visiting as well which include Saint Sava Temple, Belgrade Cathedral, and Church of birth of Saint John the Baptist, Church of the holy virgin and Monastery Rakovica. 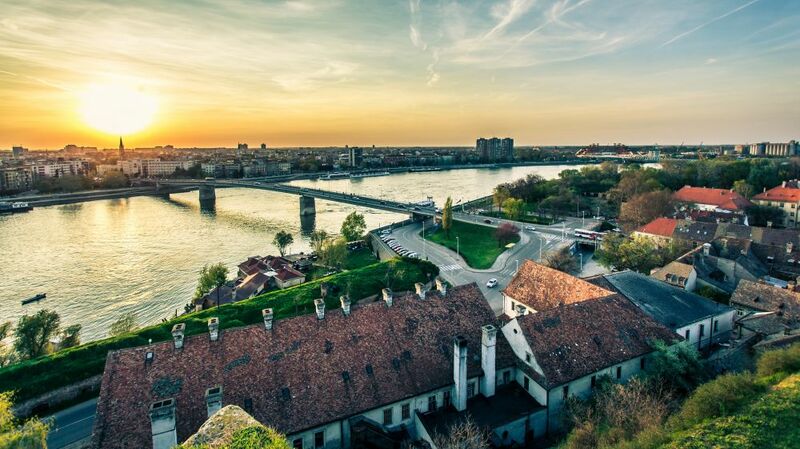 Other cities in Serbia where you can have good sightseeing experience are Novi Sad, Novi Pazar, Kragujevac and Kralijevo. Explore More “Serbia Tourist Attractions“! Bulgaria is one of the most exotic countries in Europe located in the Balkans on the western side of the Black Sea. The country shares borders with Macedonia, Greece and Turkey. Geographical disposition of Bulgaria is such that key land routes from Europe to Middle East and Asia pass through Bulgaria. Bulgaria is considered one of the most exotic place in Europe. Bulgaria is beautiful and gifted with sublime beaches, old monasteries, beautiful churches, mostly mountains and more. There are 4 international airports in Bulgaria. They are Sofia, Varna, Burgas and Plovdiv international airports. You can also catch trains from Kyiv and Moscow to reach Sofia and Varna. 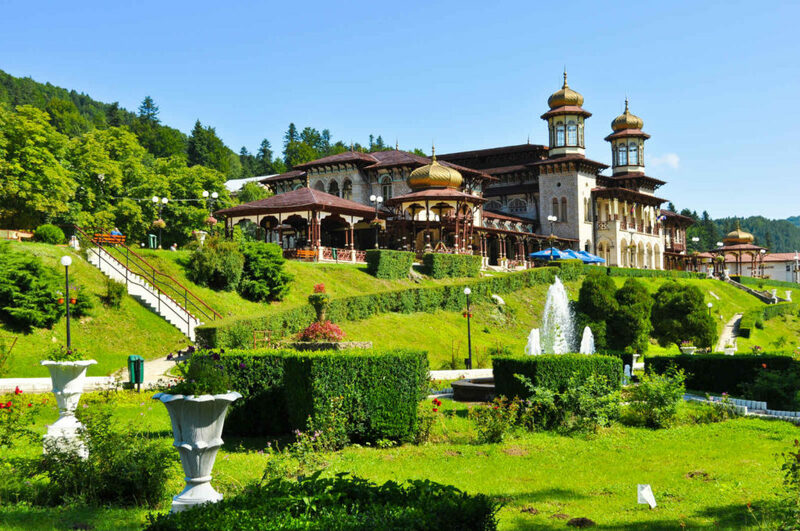 Well, take a 4-5 days Bulgaria Tour Package to explore the country. Best time to visit Bulgaria is from April to May and September to October. During this period weather is quite pleasant here. If you prefer to go in high season then you can go from June to Septembers. Sofia the capital and largest city of Bulgaria is the primary attraction in the country. City has nice parks, buzzing city centers, bars, restaurants and night clubs. City also has more than 250 historic landmarks and architectural monuments. In Sofia you have places like Sofia history museum, Muzeiko, National Museum of Military History, St. Alexander Nevsky Cathedral, Boyana Church, Hagia Sofia Church, and Monument to Vasil Levski, City Garden and Sofia Zoo. Other than Sofia you can also explore Plovdiv, Sunny Beach, Nessebar, Veliko Tarnovo, Burgas and Varna. Explore More “Bulgaria Tourist Attractions“! Croatia is located in South Central Europe and Mediterranean region. Croatia is bordered by Italy, Slovenia, Hungary, Bosnia and Herzegovina, Serbia and Montenegro. Croatia is a wonderful travel destination. Tourism is a major part of the country. 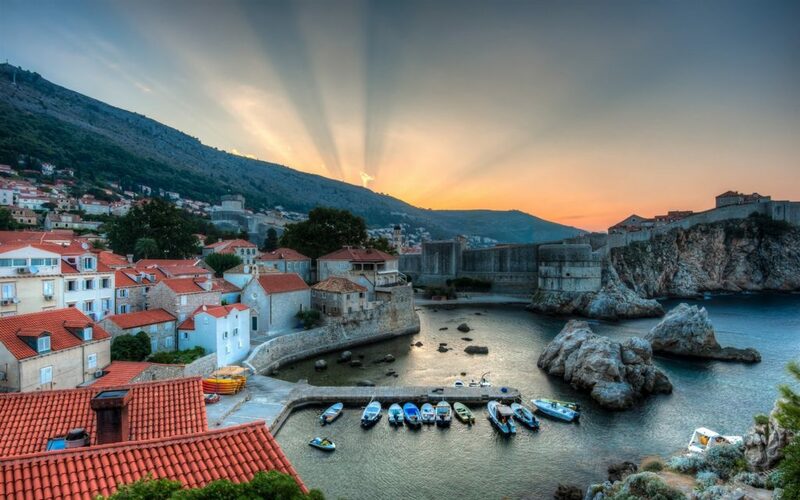 In the Mediterranean region, Croatia is one of the most visited tourist destinations. The country has rich history, culture and abundance of natural beauty. Adriatic Sea Coast is the biggest advantage for Croatia in terms of tourism as the sea has the second cleanest water in entire Europe. You can enjoy nautical, excursion, diving, congress, cultural, ecological, rural, religious, adventure, hunting or fishing and health tourism in Croatia. 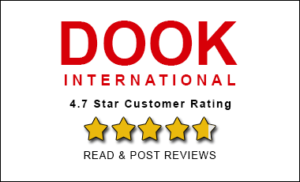 People from Asia can reach Croatia in best time possible through transferring in Doha or Istanbul than back tracking from main European Hubs. You can also catch train s from Bosnia and Herzegovina, Serbia and Greece. Ideal duration to explore Croatia is 4-7 days. You are recommended to visit Croatia from May to June and September to October. With less crowds and pleasant weather you will enjoy your trip. In Croatia you have plenty of attractions. You have historical architectures and religious sites, ecological points and museums. Primary attractions in Croatia are North Croatia where Trakoscan Castle is a 13th century built located atop a hill in Trakoscan. In Central Croatia there is Plitvice Lakes National Park which is a forest reserve popular for its terraced lakes which are connected by waterfalls. In South Croatia, Paklenica national park, walls of Dubrovnik and St. Blaise Churche are major attractions. Other attractions are Museum of Broken Relationship, Mimara Museum, Pula Arena, Euphrasian Basilica, Krka National Park, Cathedral of Saint Domnius and Blue Grotto. Also don’t forget to see UNESCO World Heritage Sites which include Plitvice Lakes National Park, Historical Complex of Split with the Palace of Diocletian, Old City of Dubrovnik, Episcopal Complex of the Euphrasian Basilica in the Historic Center of Poreč, Historic city of Trogir, Cathedral of Saint James and more. Bosnia and Herzegovina is a European country. It is located on Balkan Peninsula. The country shares its borders with Croatia, Serbia and Montenegro. Bosnia and Herzegovina is mostly mountains and it also has tiny access to Adriatic Sea coastline in the south. This country is beautiful and one of the last undiscovered space in Southern Alps region. There are vast track of wild and plenty of untouched natural beauty. The place is heaven for adventurers. You can enjoy hiking, walking in the Mediterranean and Alpine climates here. White water rafting has become super popular here. You can fly to Sarajevo Airport as most tourists opt for this International Airport. The airport is located close to the capital city. 4-5 days are ideal time duration for Bosnia and Herzegovina. Though entire year is a good time to visit Bosnia and Herzegovina but summers and springs are the obvious warm seasons making them best time to visit the country. 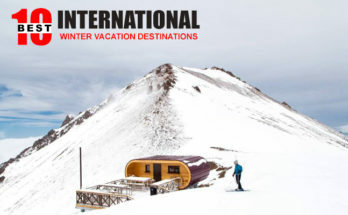 You can also enjoy winter skiing. Sarajevo is the capital city of Bosnia and Herzegovina where you can first enjoy sightseeing. You can see old town, the academy of fine arts, Latin Bridge, Views from surrounding hills, Yellow Fortress, Cemeteries, Markale Market Place, Vrelo Bosne, Morica Han and Sebiji Fountain. Museum lovers can visit Bosnian Historical Museum, National Museum, Sarajevo war tunnel museum and Sarajevo city museum. Other cities as tourist destinations in the country are Banja Luka, Bihac, Fojnica and Jajce.